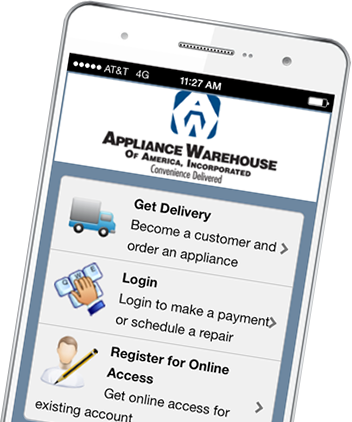 Fast delivery, professional service and quality appliances at a fair price are the core principals of Appliance Warehouse. Houston residents know that our commitment to providing an affordable solution for your appliance needs is why we are the number 1 choice for washing machine and dryer rentals in Houston and throughout the US. For a great deal on Appliances delivered straight to your door, visit our Get Delivery Pages. You're just 5 minutes from a great appliance rental! Consistent, proven and superior service delivered every day. We deliver throughout Texas, including, Amarillo, Austin, College Station, Corpus Christi, Dallas, Houston, Lubbock, New Orleans, Baton Rouge, Midland and San Antonio.